Ty M.C. 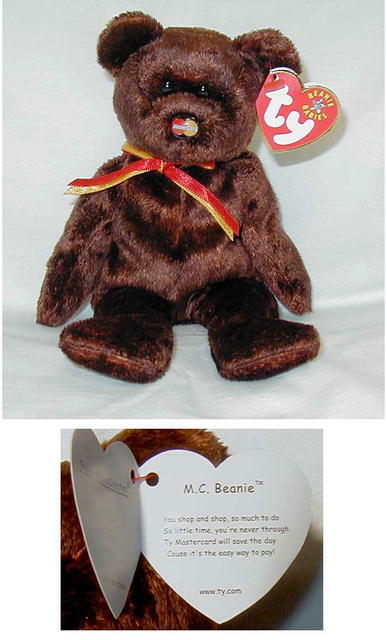 Mastercard Beanie Baby was only available if you had a Ty Mastercard Credit Card. Now retired. Mint with mint tags & protector. Shipping with Insurance- $6.50(may be slightly extra for international destinations. )We combine shipping for extra items. M.C. II & M.C. III are also available. Items Similar To "Ty M.C. Mastercard Beanie Baby- Retired"